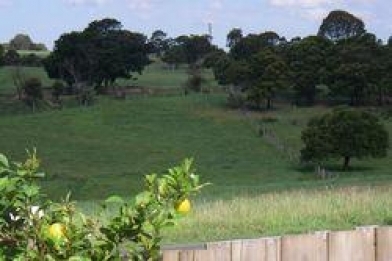 Serviced three bedroom houses in a scenic and peaceful location on the outer edge of town. Ideal for business or for those wishing to escape and explore the delights of Tarra Bulga National Park , Walhalla and the Ninety Mile Beach. These spacious three bedroom serviced houses are fully independent and have their own road entry driveway and double lockup garage with a private backyard. 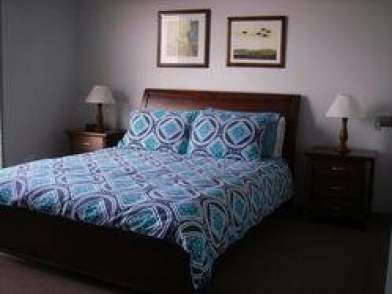 Each house has three large bedrooms, two with queen beds and the third with two king singles. There is a spacious lounge with TV and DVD. 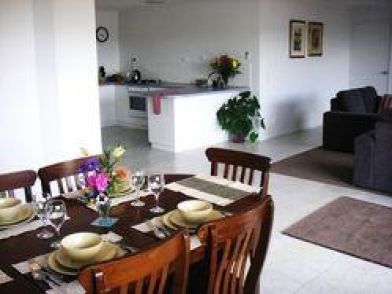 The dining area is generous with room to entertain. 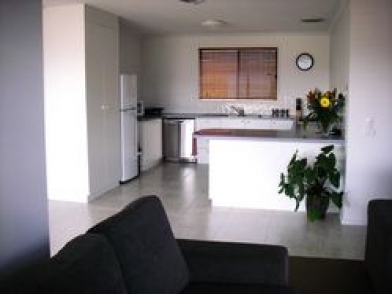 The kitchen is fully equipped with dishwasher, full size fridge, bench top cooker and oven. 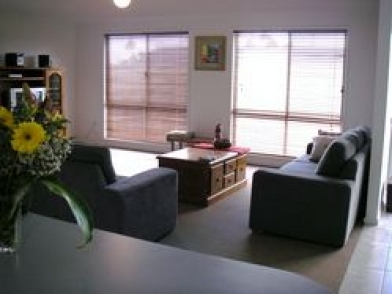 The houses are heated and cooled with large reverse cycle air conditioners for year round comfort. The large bathrooms have a shower, bath, a full size washing machine and dryer. The units are heated and cooled with large reverse cycle air conditioners for year round comfort. 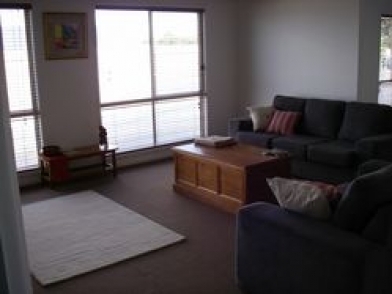 For long term stays, the apartments are serviced on a weekly basis or as required. If booking is cancelled one week prior to arrival a 50% cancellation fee may apply. From Melbourne: Continue on the Princes Highway through Traralgon and past the Traralgon/Maffra Road on your left. Take the first road on your right, McNairn Road, with the Racecourse on your left. Continue on this road which becomes the Highland Highway for a short time and then Stuart Street. The Apartments are a short distance down Stuart Street on the corner of Lansdowne Road. From Sydney: Take a left-hand turn by the Racecourse into McNairn Road then take instructions as above.